Protests have been raised in the North East at the news that Heineken is changing the recipe of Newcastle Brown Ale. Heineken, which bought the Scottish and Newcastle brewery in 2008, says substituting roasted malt for the caramel now used to colour the beer on health grounds won't affect the taste. I haven't drunk Newcastle Brown for a while but I don't remember it having that distinctive a taste to start with, especially when served cold. A delicate wineyness and a slight nuttiness maybe (I know "nut brown ale" is poetic but I can still detect it: maybe it's psychological suggestion). The name is a bit of a misnomer too: unlike Belgian brown ales or the brown lagers you get in Germany, it's not much browner than a lot of bitters and hasn't been brewed in Newcastle since 2005. I doubt tweaking the recipe will have much effect on the taste, or sales. 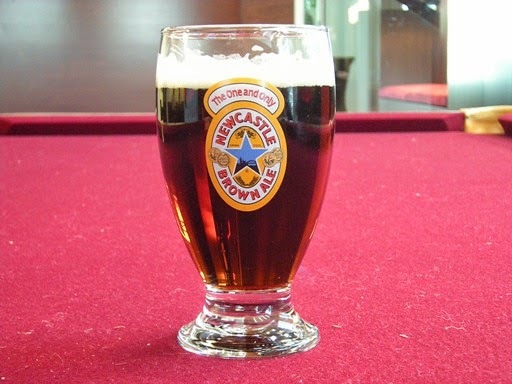 I went to a pizzeria in Chicago about a decade ago and amazed the barman serving Newcastle Brown Ale by telling him it came from Newcastle in England, not the one in Canada as he'd always assumed and told his customers. I like to think he now quotes me as an authority when telling them of its true origin. That kind of mid-brown Brown Ale is a bit of a North-East tradition, Vaux Double Maxim being similar, but agreed that some bitters such as Jennings are darker. Was everything rubbish in the past?